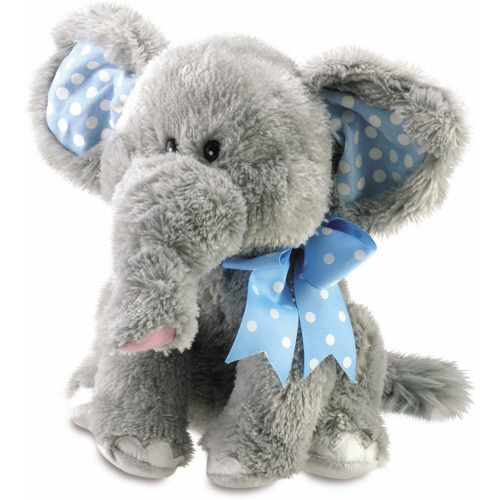 Elliot Elephant Singing Plush Toy is so cute you can’t resist cuddling him, even before he starts to dance. Press his foot and she sways, her ears go up and down, and her body becomes animated as if she’s dancing. 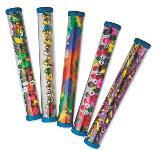 Kids can dance along as they learn the song! So cute and cuddly too. 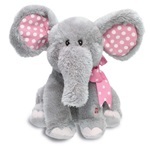 Elliot is a gray elephant with white toes and pink and white polka dot long floppy ears and a sweet little bow. This cuddly plush elephant flaps her ears and dances to "Do Your Ears Hang Low?" 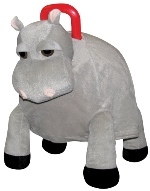 This adorable soft plush elephant is an educational and fun toy that is sure to be loved by children of all ages. Sings and moves to the song "Do Your Ears Hang Low?" Dimensions: 3.1" x 9.1" x 7.1"